The Aevon STD100 trailer is the classic model which made the Aevon range so famous. 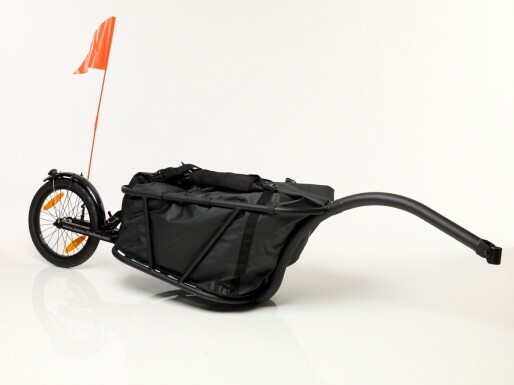 This trailer is light and very balanced, but also perfectly reliable. It will follow you in every situation, all around the world as well as on your daily trips. 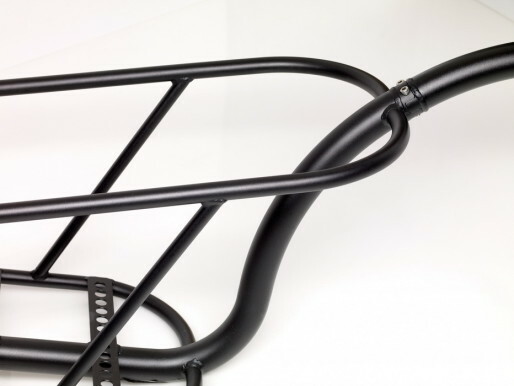 The frame of the STD 100 trailer is made of first quality aluminium. It enables to receive a 100L bag. 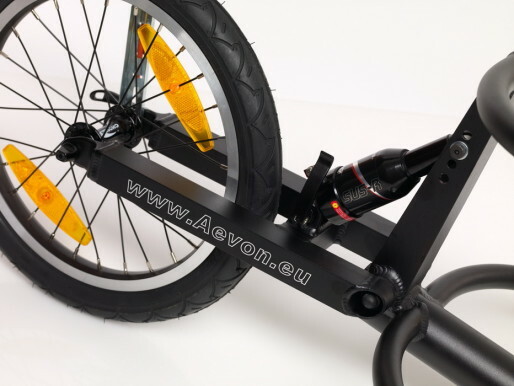 Aevon designed a product which makes your moves easier : a U-turn without putting your foot to the ground can be done anywhere, even on narrow tracks. The pressure at the level of the centre of gravity, under the seat, makes driving easier, even downhill which will amaze many users. Offroad or in town, this innovative fastening system is a token of stability and reliability. The pressure of the oleo-pneumatic shock absorber is adjustable, to improve its answer in relation to the load carried. 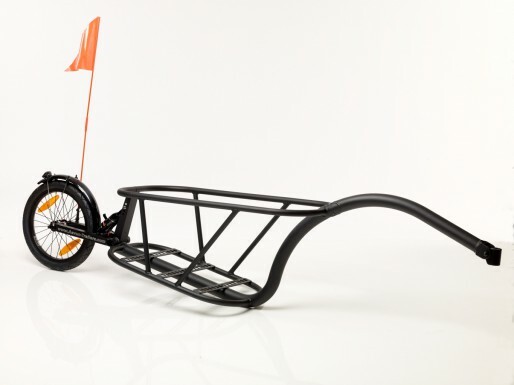 The ground clearance can also be adjusted with an Allen wrench. In 2008 Carnets d’Aventures Magazine made a test of the STD 100 trailer. Marine made many bike trips through different countries. She gives here her impressions about the STD 100 trailer. In 2008, Velotaf made a test of the STD 100. In 2008 Jepedale.com tested the STD 100 trailer. 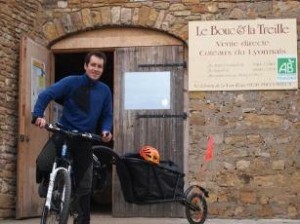 In March 2013 Mickael left with his bike and his STD 100 trailer for one year to realise his dream through his passion of cycling, vines and mountains.